Whatever way you look at a business, ultimately all businesses share similar goals – creating revenue and selling their products or services successfully. On a short-term basis, you could do this with about any product and not really making any effort to create something of value for your customers. Yet, if you are in it for the long run you must narrow down on the key factor of business success – your customers’ needs. At the moment, customers are still not receiving the service they’d expect. Mainly because brands fail to acknowledge the individual profile of each of their customers and their specific expectations. With the advent of the disruptive technologies of our current times, the need comes up for brands to continuously re-evaluate the innovative potentials of their processes. Making sure your customers’ needs are met and them having the best possible experience is becoming the competitive edge to look out for in 2019. Customers’ expectations are mainly focussed on personalised experiences trying to find the right options and getting the individual help they need during this process. As the world is a hyper-connected place and your customers are interacting in real-time with their peers, getting feedback within seconds and experiencing multiple communication channels at the same time. This is the place where must meet them, as customers are expecting faster and better service than ever before. It used to be customers calling a company if they needed help. In today’s world, you can’t expect your customers to be willing to sit on hold in a call for several minutes and then get some ‘meh’ help with their problem. That’s why using messaging apps as a customer service channel is on the rise. Looking at the state of the game it becomes apparent that many companies are not yet equipped to deal with these new shifts and are unable to solve their customers’ inquiries through the expected channels. To survive in the long-term, you must be where your customers are waiting for you. Be it Twitter Direct Messages, Facebook Messenger, WhatsApp or WeChat this is how the world is communicating and there is no way your company can avoid those communication habits in 2019. Taking care of all the different messaging channels is a task your human employees need help with. For this reason, chatbots and other communication automation services have become essential for delivering up-to-date customer service. That’s why bots and AI, especially when combined with voice assistant features have become a major factor for any customer service strategy. Keeping up with customer expectations calls for the use of technological solutions and integrating these into existing service processes. This is the only way brands are able to ensure that their customers are getting the service they want. Eye contact is a major part in human communication and we all know that video features are on the rise. Customer service is no exception as sometimes all it takes is someone to listen to your problem and do their best to help. Video is as close as it gets to a face to face conversation and issues can be resolved immediately. 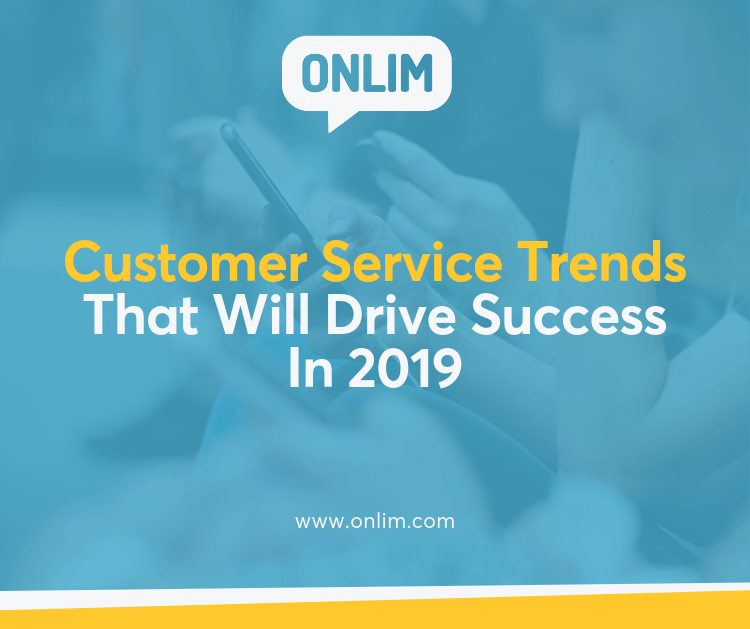 Social Messaging is one of the most important factors for customer service in 2019. Let’s face it – emails for customer service requests are not in demand anymore! Customers want help right now and not wait for a response through email for a day or two. Instant replies are expected, and messaging apps are enabling this perfectly. Human resources are always limited, yet your customers’ needs aren’t. Delivering outstanding customer service is not possible without technological tools anymore. 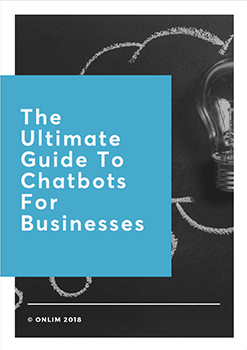 Chatbots are the perfect solution to be available to your customers 24/7 all year round. Conversation driven UIs are a prime option for brands to use cutting-edge technologies to create personalised customer experiences. Bots help with answering the same old questions that every customer has and only when needed human service agents have to get involved. This constant availability helps customer satisfaction while cutting costs at the same time. Just like chatbots, voice assistants help to answer customer queries and find solutions for their needs. In just a few years’ time, we will look back at the way we interacted with technology and gadgets and laugh. With the rise of voice assistants and smart speakers, the way we control our devices will drastically change, making the use of technology even more instant and intuitive. This is where chatbots come up again because they enable customers to take care of their own needs with just a few text or voice prompts. For this to fully work a thorough documentation of your products and services is needed. While adjusting your customer services to the modern needs of your customers’ it is especially important to meet them where they are at.